Welcome to your Ken Garff Volkswagen parts center. We have all of the OEM parts you need to get the job done and your car back on the road. Not only do we have the VW parts you need to keep your car performing at its best, we also have the VW accessories you need to personalize your Orem VW to your tastes. Give the Ken Garff Volkswagen parts center a call for expert advice, recommendations, and availability.Order your parts today online and pick up right here at Ken Garff Volkswagen. If you prefer, bring your car or SUV into our Orem service department and we’ll have our team install your VW parts for you. At your Orem Volkswagen parts center, we have anything and everything you need keep the VW you love on the road. 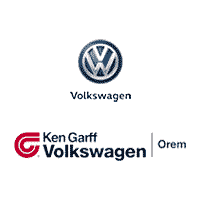 Visit Ken Garff Volkswagen today and let us take care of all your Orem VW parts needs! *Offer cannot be combined. See your parts specialist for details. Must present coupon at time of service. See service advisor for complete details.